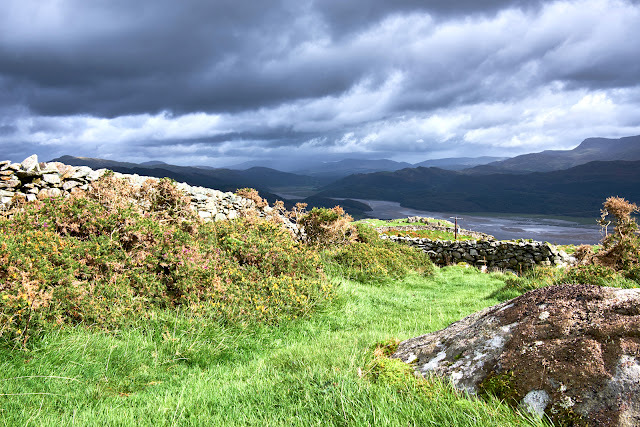 I've not long been back from a hiking trip in mid-wales, this time in the southern region of the Snowdonia National Park. 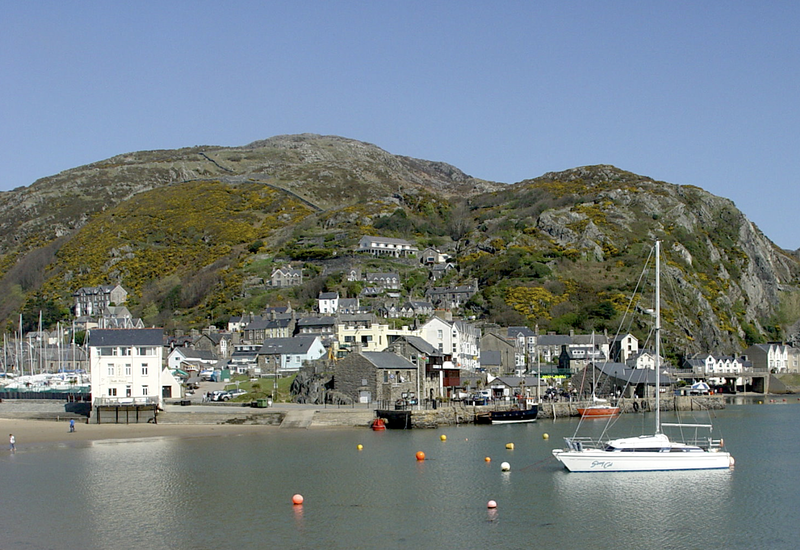 We stayed just above the town of Barmouth, with some great walks right on our doorstep. 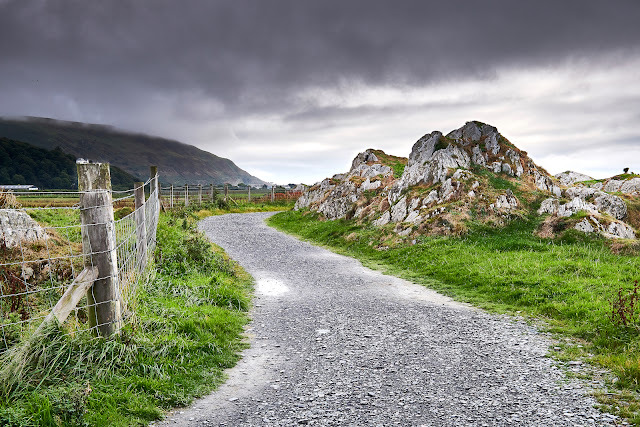 With all the glorious weather we've had this summer and early autumn, we hoped we'd be in for a treat, but unfortunately the weather had other ideas, with not just one, but three different storm systems heading our way. To say it was wet and windy would be an understatement, but we got out there and it was great fun, if you like that sort of thing. As far as hiking goes, I'm fond of the phrase, 'there's no such thing as bad weather, just the wrong clothing,' and we were well prepared. The weather even cooperated a few times, enabling me to bring a few images back with me that I like, and wanted to share. 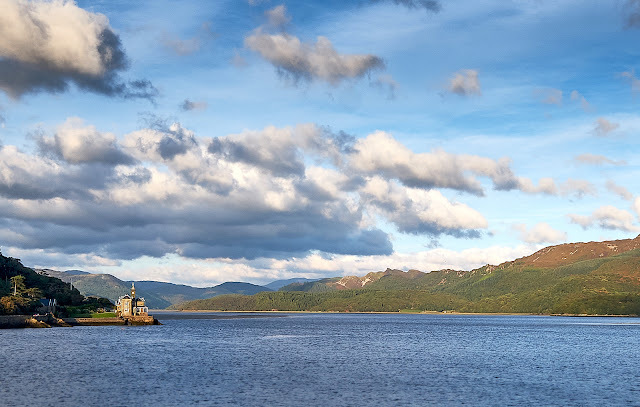 For those interested in photography, I've just switched from my Canon full-frame gear to the Fujifilm mirrorless X-System, which uses a crop sensor and is much lighter for hiking with, yet still offers great image quality. I hope you enjoy the photos with captions. Click on any image to enlarge them. Looking into the Mawddach estuary from Barmouth Bridge. for the fictitious town of Hobbiton in The Lord of the Rings. the bridge during the full force of Storm Ali. towards Cadair Idris from the balcony outside our accomodation. 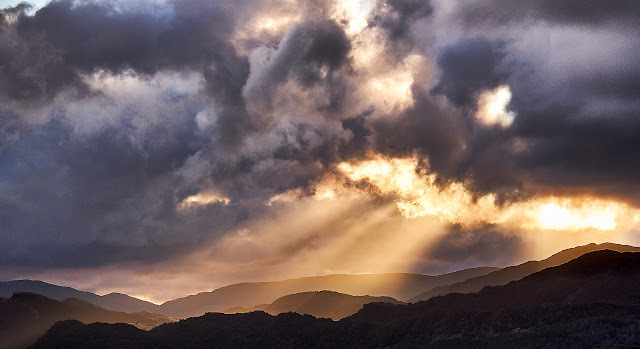 More interesting sunlight through the storm clouds. 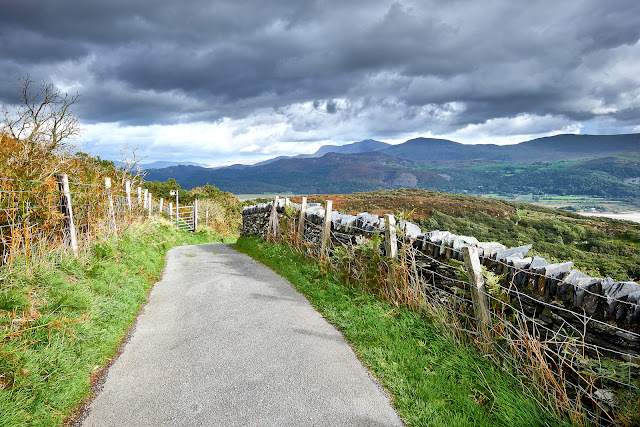 Heading back to our accommodation on the Panorama Walk above Barmouth. Taken during a hike from Barmouth to Tal-y-bont on the Ardudwy Way. A seascape taken from Fairborne, which is on the other side of Barmouth Bridge. Letters from the Dead - Out now! 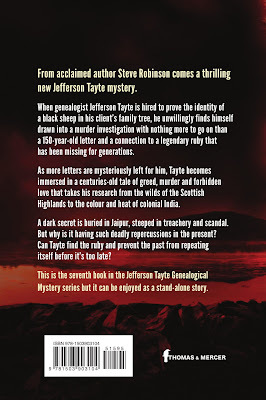 My new Jefferson Tayte Genealogical Mystery is out now in paperback, audiobook (performed by Simon Vance) and for Kindle worldwide. If you're following the series and plan to read it, I very much hope you enjoy it. If you're new to the series and just like the sound of this book, it can also be read as a stand-alone story without having to have read the earlier books first. For more information, and to order a copy, please follow this LINK, which will take you to the Amazon product page in your country. Here's what some readers are saying about the book on their blogs so far. You can follow the links to read the full reviews. 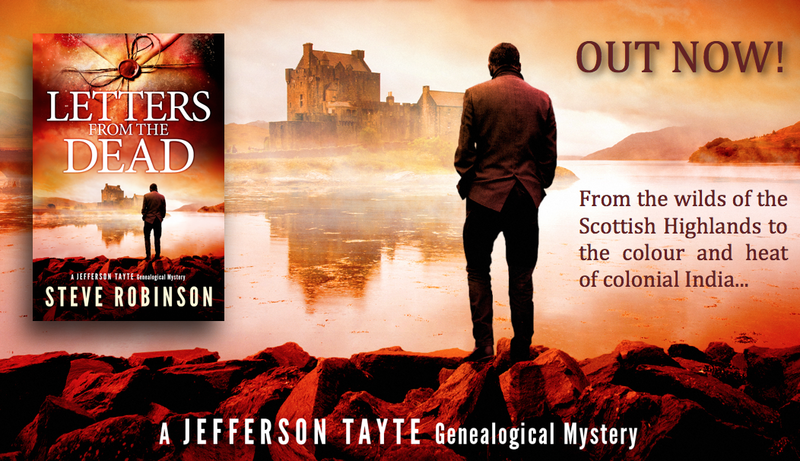 ‘The end of the Scottish adventure is a white-knuckle ride and, as always, I thoroughly enjoyed this story. 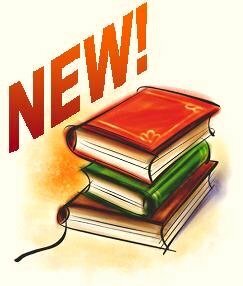 Steve Robinson carefully strands his stories together and they are a joy to unpick.’ — Ignite Books. ‘A story that, at times, had more than the touch of an Agatha Christie about it. If you have not read any of Steve Robinson’s work and are a fan of historical and genealogical fiction or merely just love a good mystery story, then you won’t go wrong with this series.’ — Go Buy The Book. ‘Even better than the beautifully descriptive passages is the way Robinson builds the mystery and plants the clues. I am usually pretty good at predicting the outcome, but with this book I confess to being wrong every time.’ — Jollett Etc. 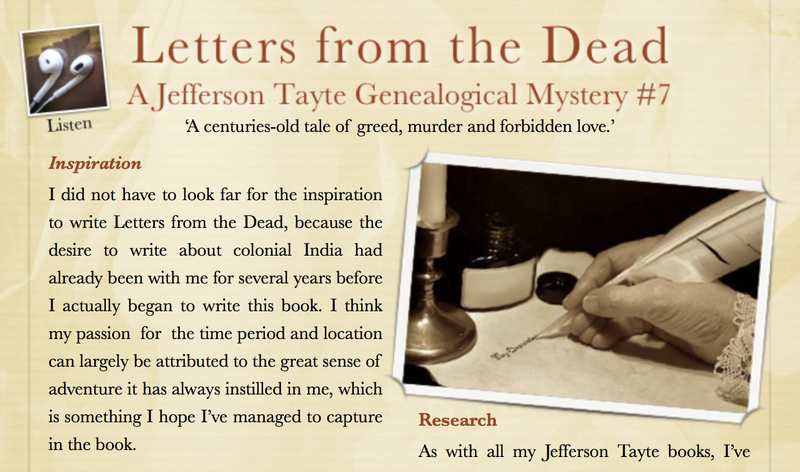 ‘I found myself literally holding my breath as each mystery unfolded, and genealogist, Jefferson Tayte, uncovered the clues. 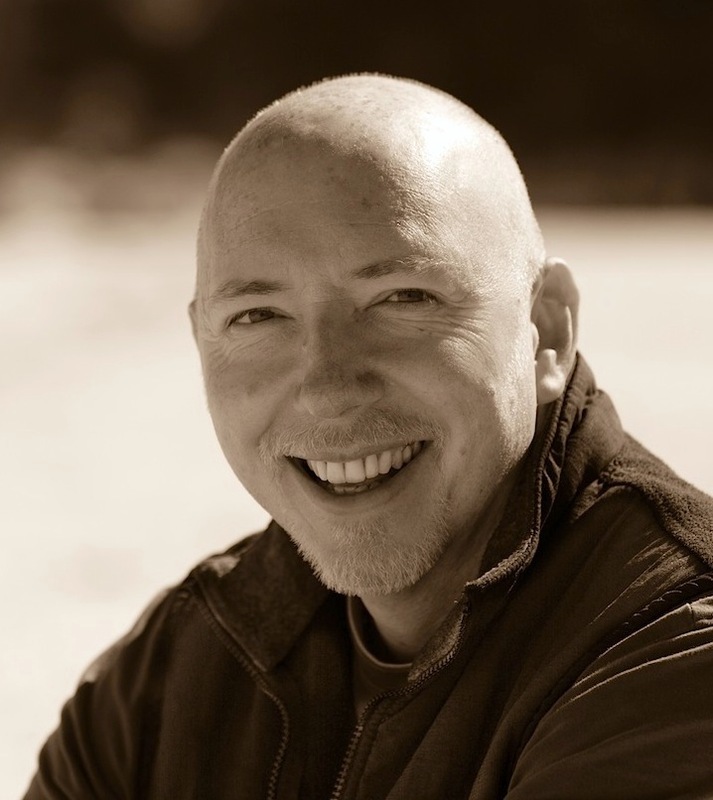 Steve Robinson is always a must-read author. I thoroughly enjoyed Letters from the Dead and could not put it down!’ — Old Bones Genealogy. If you would like to read some background information about the book, including the inspiration behind it, how I set about writing the story, and some of the research that went into it, please take a look at the information page on my website HERE. I hope you'll find it interesting. The blurb is out. Read all about it! 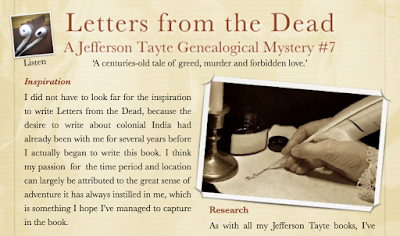 Book description for my new Jefferson Tayte Genealogical Mystery, Letters from the Dead. After what seems like a very long time indeed, I'm very pleased to be able to tell you more about my new JT book at last! The back cover description has now been released. You can read it HERE where you can also pre-order your copy so you receive it the day it comes out, or on my blog below. 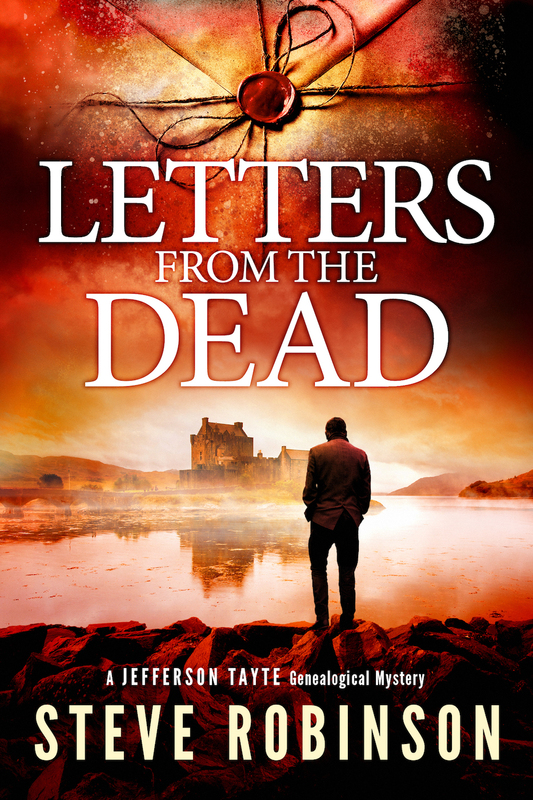 Here it is--the front cover for my new book, Letters from the Dead! 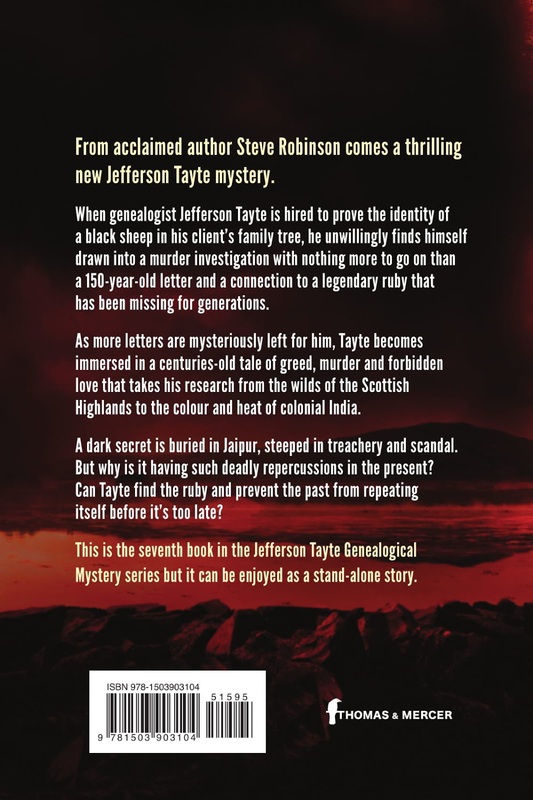 The shiny new cover for my seventh Jefferson Tayte Genealogical mystery has been finalised, and I'm so pleased to be able to share it with you. I love it! 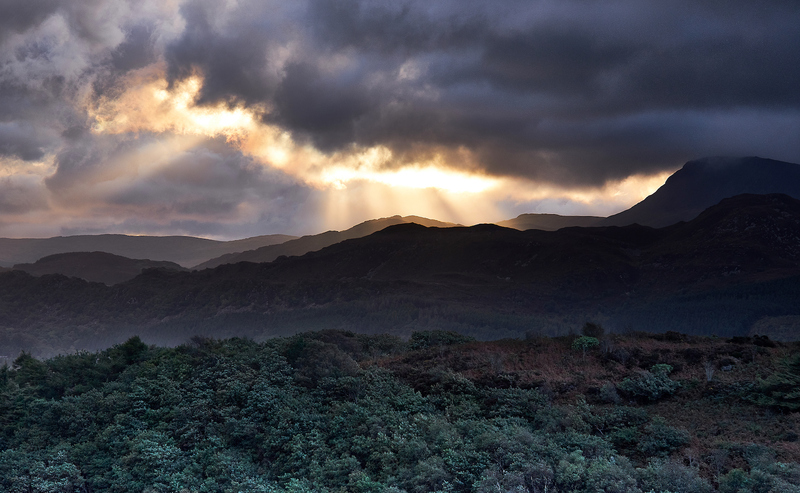 Nice and moody. Now I really can't wait for the book to be out on 14 August. Here's a link to the book on Amazon for pre-orders and more information, which should be ready very soon. 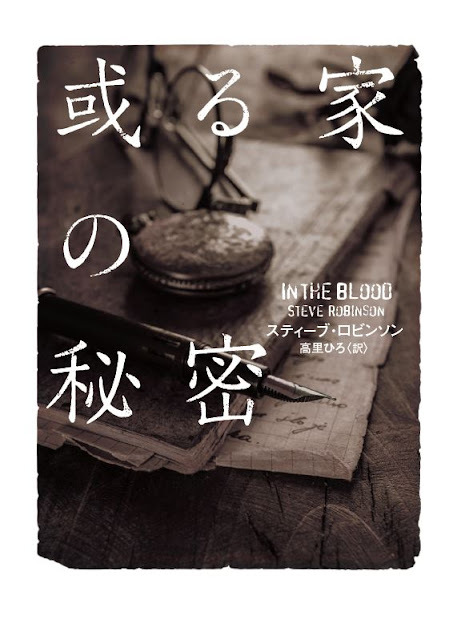 I'm very excited to share with you the cover design for the Japanese language translation of IN THE BLOOD, the first book in my Jefferson Tayte Genealogy Mystery series, which is due to be released by Harper Collins Japan in February. Because things don't always translate well from one language to another, the title has changed for the Japanese market. The lettering on the cover says 'A Secret of the Family', which I think sums up what the story is about very well. Harper Collins said: 'The reason is that the story develops around a secret of one family, which has been kept for several hundred years.' It was also chosen because 'Japanese readers tend to like dark and mysterious histories of a family.' IN THE BLOOD is certainly that. I really like the cover design. It speaks of the past, and of old documents, and I've also just heard that the book will include a map or Cornwall where the story is set, and a Fairborne family tree. I can't wait to see a copy. 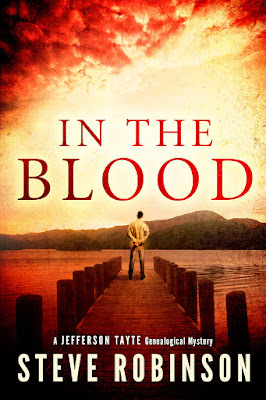 In the Blood combines a centuries-old mystery with a present-day thriller that brings two people from opposite sides of the Atlantic together to uncover a series of carefully hidden crimes. 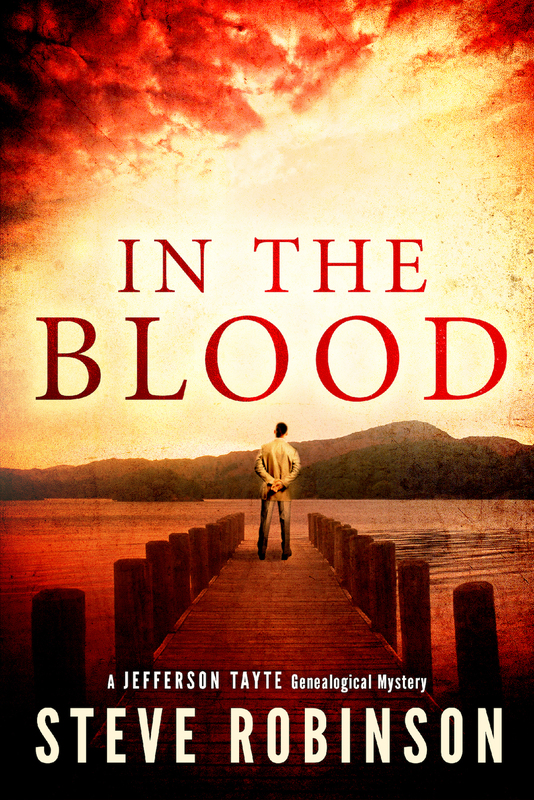 Tayte's research centres around the tragic life of a young Cornish girl, a writing box, and the discovery of a dark secret that he believes will lead him to the family he is looking for. Trouble is, someone else is looking for the same answers and will stop at nothing to find them.